I stopped in to Fabric Depot yesterday at lunchtime to do a quick browse since I hadn't been in the store since before the holidays. 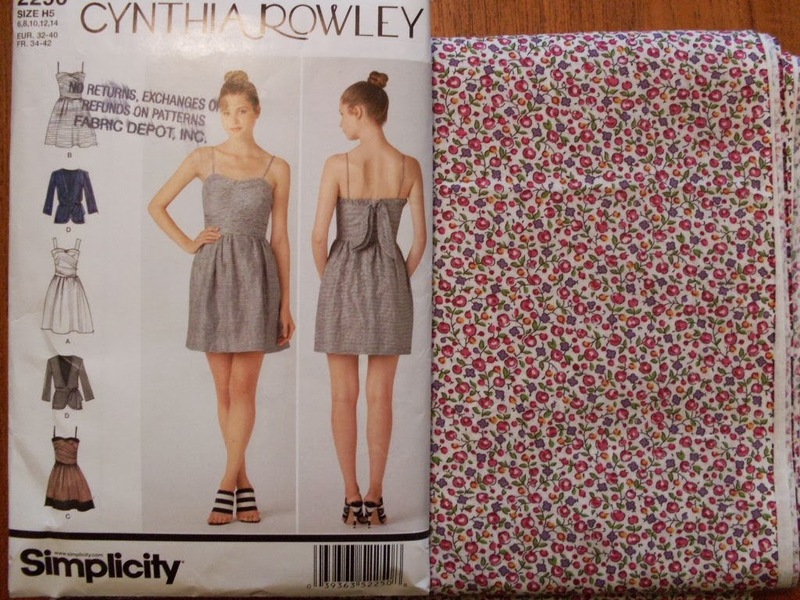 I decided to get this new Cynthia Rowley dress pattern, Simplicity 2250, and I found this beautiful cotton lawn from Moda. It's called Regent Street and it looks a lot like Liberty, which is why I couldn't resist. It was normally $10.99 a yard, but all quilting cottons are 30% and this qualified. I was surprised to see that there was a rather large selection of cotton lawn at the Depot. There was lots of good stuff there that looked new to me, so a longer visit may happen this weekend.